Recently I ran into the issue of having one standard SAP function module (FM) which needed to be followed by COMMIT. As you may know such FM do not create any data as the real date need to be posted by the COMMIT. 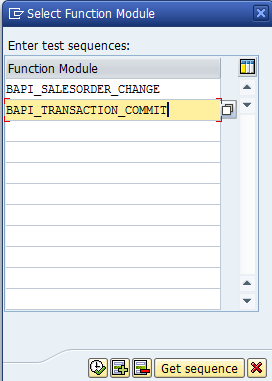 My solution was to create custom ABAP report where I called standard FM first and then BAPI_TRANSACTION_COMMIT. However later I realized that creation of ABAP report wasn’t necessary. There are feature of Tcode SE37 which allows to you execute several FMs in sequence. By this I can call standard SAP function module and then COMMIT one. What are Eclipse based SAP development tools?